Now here’s a site that warms my heart. 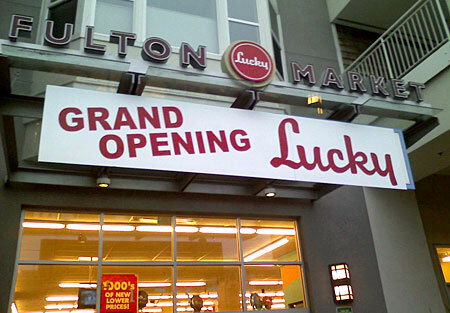 Another San Francisco store (one that was originally designed as a Lucky but opened as an Albertsons) reclaims its rightful and historically significant brand name. Photo courtesy of my betrothed who’s working in San Francisco this week. The photo above was emailed to be by my husband, who’s working in San Francisco this week. So it happens on Monday. 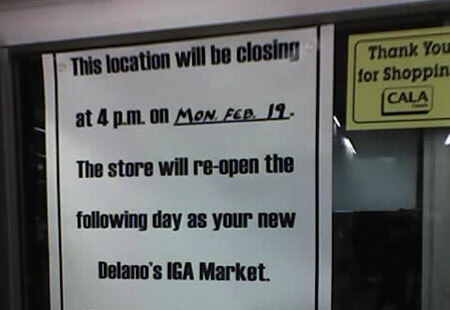 After more than sixty years as one of the most recognized names in San Francisco grocery retailing, most Cala Foods and Bell Market stores will become Delano’s IGA. Sounds vaguely like the name of a feed store, doesn’t it? When I first moved to San Francisco, Cala stores were exactly how I’d always imagined “urban” supermarkets would be: small, old, and almost comically overpriced. Despite the fact that shopping there regularly would have bankrupted me, I always liked visiting their stores. In fact, the Cala store at 1095 Hyde Street (featured earlier here and here) was the first supermarket I ever visited in California, and it remains one of my favorite stores ever. This isn’t really history-related, but my closest local Lowes Foods is closing and will be replaced by a Compare Foods branch soon. I’m a big fan of Lowes in general, but this was a rather creepy and uninviting location, and I think the new tenant may be a big improvement. It’s a pretty good deal for MDI as well; since they own Lowes and supply Compare, they get to keep making money off the location without actually having to operate it. Anyhow, I just thought I’d throw in that bit of local color and flavor to give you a glimpse into the place yer humble host lives nowadays. 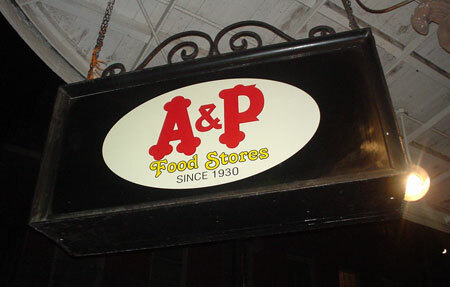 Jones said they have had some interest from a few grocers, but he declined to say who they were. In general, he said, chains like The Fresh Market, Whole Foods Market and Harris Teeter are interested in spaces for smaller stores. In August 2003, Harris Teeter opened a 17,000-square-foot store in uptown Charlotte. The store is part of a condominium complex. It will be interesting to see what happens here. Downtown Greensboro is, in a sense, where this website was born. 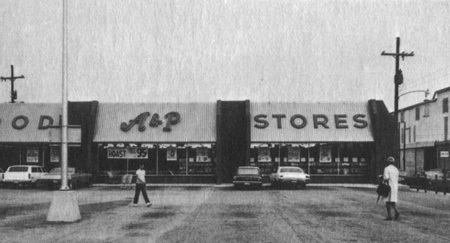 It was there, at age nine or so, that I became obsessed with the ancient A&P store which sat near what used to be my great grandmother’s house. It was in Greensboro that my mom showed me the few entrance tiles which were all that remained from the Big Star store which had been Greensboro’s first real supermarket back when she was a little girl.